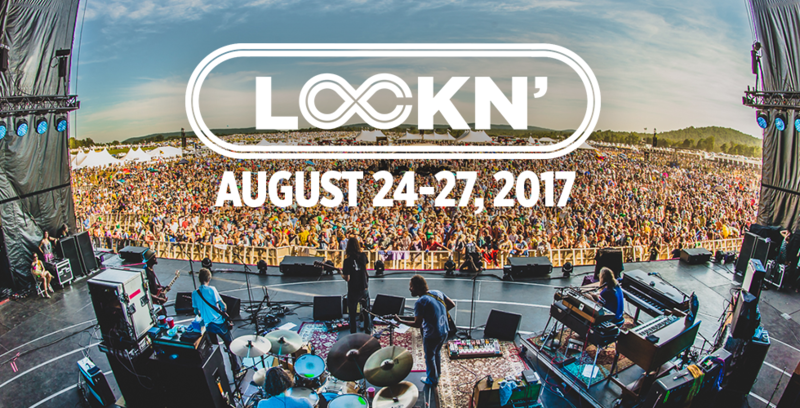 LOCKN’ 2017 ‘Lumni Tickets On Sale This Friday at 12PM! LOCKN’ Family! Fresh off a LOCKN’ for the history books, we are excited to announce dates for the 5th annual LOCKN’: August 24-27, 2017! GA, VIP & Super VIP ‘Lumni tickets will go on sale this FRIDAY, September 16 at 12PM EDT for a limited time (don’t wait! ), and for the FIRST TIME EVER ‘Lumni camping passes will be available at special ‘Lumni prices. ‘Lumni campers will have the option to camp in a designated ‘Lumni Camping area so you can hang with dedicated LOCKN’ family. All past LOCKN’ ticket purchasers will be eligible to purchase LOCKN’ ‘Lumni tickets with a code that will be mailed to them Friday morning before ‘Lumni tickets go on sale at 12PM. We’re certain you’re going to like the perks of being a ‘Lumni, which include access to the ‘Lumni Lounge and bar, where you can hang with friends old and new. Stay tuned for more ‘Lumni perks to be announced soon. Mark your calendar, because ‘Lumni tickets go on sale this Friday at 12PM EDT for a limited time. Don’t wait! Take advantage of this limited offer and let your tribe know it’s time to start planning. See you on the farm! All 2017 ‘Lumni ticket purchasers will get access to the ‘Lumni Lounge onsite where they can enjoy a ‘Lumni bar and space to connect with other LOCKN’ ‘Lumni. Payment plans will be available upon checkout. ‘Lumni VIP and Super VIP Travel Packages will be available at a later date. GA ‘Lumni will have the choice of camping in a designated ‘Lumni section if they wish to be with other Lockn ‘Lumni family. More information to be released soon. *All prices are subject to change. ‘Lumni tickets are non-transferable.